Our licensed aestheticians are specially trained in medical aesthetics. “Medi-spas” tend to “pamper” you, but often with little visible results. Our goal is to be “therapeutic”- we want you to see results! Our experienced medical aestheticians will direct your physician supervised skin care program, including physician strength products not available at “medi -spas”. 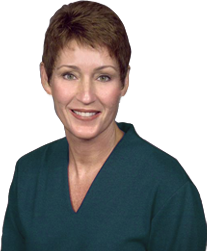 The following are only some of the services provided at Dr. Rasmussen’s practice. Keeping your skin in optimum health is essential. A monthly facial will greatly minimize blackheads and breakouts for a more radiant complexion. Glycolic Acid Wash(99% Glycolic Acid): This is a physician strength resurfacing peel which enhances exfoliation to revitalize general skin clarity. It is also a treatment for hyperpigmentation and acne prone skin. Oxygen Peel (with Retinol, Vitamin C & A): As it leaves your complexion with a radiant glow, many choose to do this peel before a social event. This stimulating treatment is excellent for tired skin that has been damaged due to the sun, smoking and medications. It also benefits acne prone skin. Sensi Peel (12% Lactic Acid, 6% TCA, 3% Kojic Acid): Based on the level of treatment, this peel will effectively treat aging skin, sun damaged skin, smokers skin, pigment disorders, and acne prone skin. It is applied in layers to achieve deeper exfoliation, and therefore ideal for sensitive skin types. Pumpkin Peel (35% Salicylic Acid): This exfoliating treatment promotes cell turnover with built in fruit acid enzymes and Vitamin A.
Ultra Peel II (with Retinol, Vitamins C & A): This cream mask can be added to microdermabrasion and to any peel to add moisture to aging skin and to produce lightening, tightening, and brightening effect to the skin. It enhances exfoliation as well. Microdermabrasion is a type of superficial skin treatment that removes dead skin cells, layer by layer, to promote the formation of new collagen in the skin. It enhances general skin clarity, tone and texture. It also improves fine wrinkles, hyperpigmentation, acne prone skin, bumpy ruddy skin and the effects of sun damage. Click here for more information on MegaPeel® Microdermabrasion. The VI Peel™ is a proprietary physician strength peel which reverses the effects of sun damage by reducing age spots, freckles and hyperpigmentation, as well as soften fine lines and wrinkles. 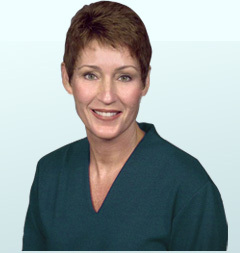 It is performed by our medical aestheticians under the direction of Dr. Rasmussen. Click here for more information on VI Peel™ Options. Eyebrows not only frame the eyes, they also frame the face. Strategic shaping creates the illusion of a more youthful appearance by making them appear larger or even lifted. Until recently, there hasn’t been anything truly effective to treat cellulite. Now there’s Endermologie®, the first patented FDA approved process proven to fight cellulite. Click here for more information on Endermologie®.